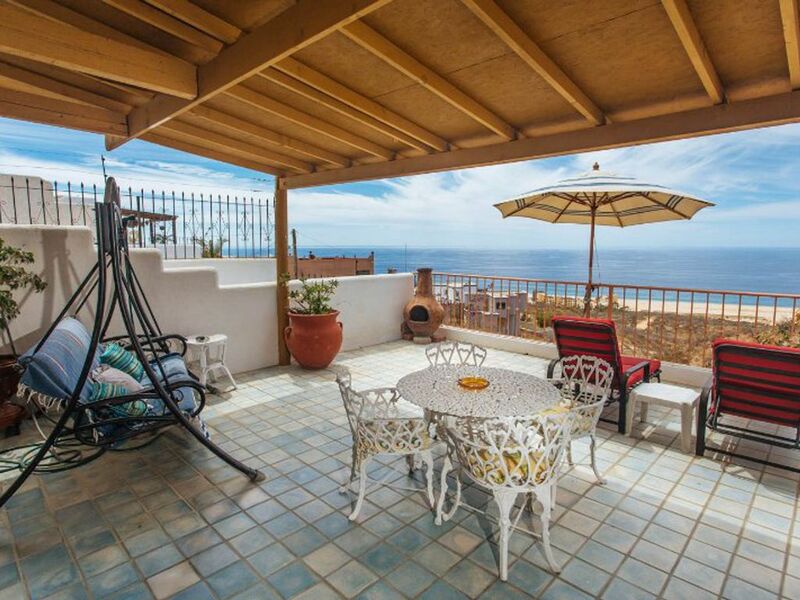 Panoramic Ocean view, everything included except food & drink, no extra fees. Includes loaner car with full insurance, plus free airport service, exceptional value. Best unrestricted Pacific Ocean and Sunset Beach view from hilltop setting. Very peaceful, safe, quiet area, no traffic or passers-by. Property is fully walled and gated. It is a 10 minute drive to downtown. Owner/caretaker lives onsite on a separate floor with separate entrance, well isolated from the rental unit which is the main floor. We respect your privacy, but are available for help or information. All areas are private with no direct views from other residences, the only adjacent home is normally unoccupied, other houses are at least 1/2 block away. If you are looking for a quiet restful vacation but near to restaurants and all the activities of a world class resort destination, this is it! Better than a hotel room or 'all inclusive' resort. Unobstructed view of Sunset Beach, 1/2 mile away. Unobstructed panoramic view of the Pacific Ocean. There is a free long distance telephone to the US and Canada, and we provide a loaner cell phone for local calls. Both bedrooms have air conditioners, plus bedroom 'A' and the main living area each have a large evaporative cooler. You can use the automatic washing machine in the courtyard for your personal laundry free of charge. There is an outdoor 'Chiminea' fireplace on the front deck, we provide an initial supply of firewood. Free parking for the free loaner car on the front driveway. WiFi free of charge, also provided is a basic computer. Small freight elevator, no passengers. The large living room has 2 recliners, 2 love seats, a sofa bed, entertainment center, etc. New medium size refrigerator with freezer. Large gas stove with oven. Microwave and a toaster oven are provided. Three 5 gallon jugs of premium purified water per week for the water cooler included. Also spices, condiments, plus starter supplies of instant coffee, tea, etc. Paper towels & toilet paper provided. The kitchen is very fully equipped, starter supplies of condiments are provided. In addition to the dining area, there is an under cover cast iron table and chairs on the front deck beside the BBQ, a table and chairs in the courtyard, plus a 6' folding table. Premium HD satellite system with U.S. & Canadian programming. Some snorkel equipment and a boogie board free to use. Full Kitchen with all usual appliances incl dishwasher, cookware, dishes, and cutlery, plus starter supplies of condiments etc. Free wireless internet and basic computer, free long distance phone to U.S. & Canada, free loaner cell phone for local calls. Two bedrooms with one king size, one queen size, and 2 single beds. One full size bathroom with large shower plus ensuite with large shower. Dining area by kitchen and another on front deck next to barbeque. Salon has 2 recliners, 2 love seats, and a dbl Sofa Bed. Canadian U.S. satellite TV, DVD, CD, VCR, and a selection of CD music and DVD movies, plus games and books. Large front deck overlooks the beach and ocean which is 1/2 mile away and 450 feet below. Private rear courtyard has 20' X 12' pool, gardens, and turtle pond, adjacent area has tropical trees, cactus , etc. Loved everything about this place, not one complaint! Thank you, give Mandy a cookie and a pat for me, hope to see you again! Great spot for relaxing vacation! Thank you, we love helping you have the very best vacation! Cabo San Lucas offers exceptional activities that are equal to any resort destination in the world. Plus the best weather you will ever experience. Unrestricted use of our loaner car allows you the freedom to explore the southern tip of the Baja at your leisure. Alternatively we offer daily free private shuttle service to any local destination and return.